DESPERATE, Dr. Michael Durant (Isaiah Washington) finds himself on a journey to Africa in search of a potion that will save the life of a fellow doctor (Jimmy Jean-Louis) who saved the life of a young patient of his. 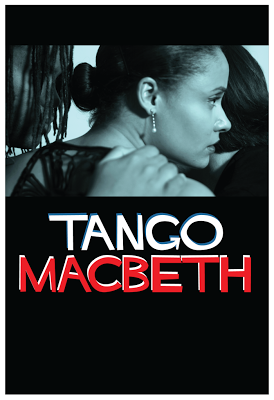 The journey from the New World of New York to the Old World of Nigeria is eye-opening in more ways than one as the good doctor discovers much more than he set out to. And so it is in “Doctor Bello” (http://www.doctorbello.com/). 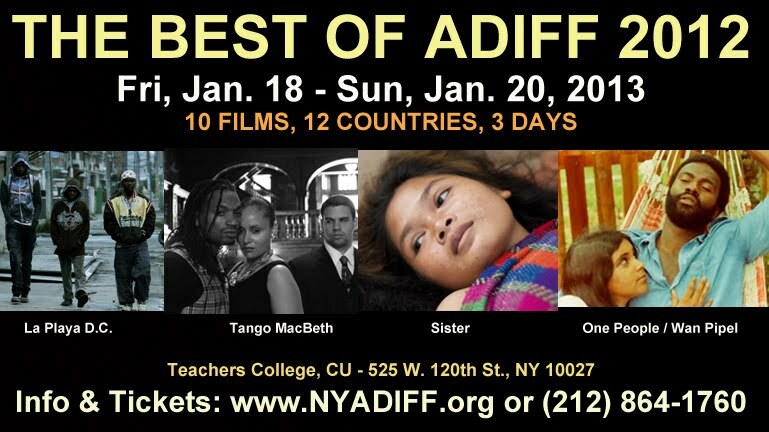 One aspect that sets NYCADIFF apart from other festivals is that it concerns itself with films that tell non-marginalizing stories of the African diaspora wherever it exists, regardless of the ethnic background of the filmmaker. Here, it is the story that is the heart of the matter. The title refers to a message that was scribbled on a Paris bridge. Using footage, photos and firsthand accounts, the documentary looks at a bit of shameful French history that remained largely hidden until the 1990s. Essentially on 17 Oct. 1961, Parisian police attacked a peaceful march of Algerians in support of independence for their country from France. 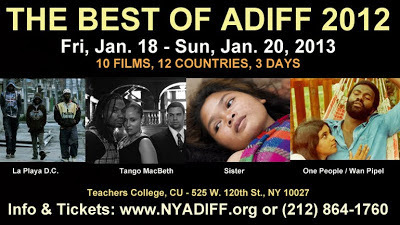 Visit http://www.nyadiff.org/ to learn more about The Best of ADIFF 2012.